I don't know if you guys know this or not, but I have a sweet tooth. I thought I might go ahead and fess up to it! I also love all things chocolate and peanut butter. I mean, that does go without saying right? So I just couldn't help myself when I saw a bag of peanut butter M&Ms on sale at the store. I had been wanting to make some cookies, but sometimes cookies take too long! You have to wait for the butter to come to room temperature, make the dough, put it back in the fridge to firm up, scoop the cookies, bake the cookies. I am a little impatient sometimes (keep your comments to yourself, MiMi!) so I need to have a shortcut. A skillet cookie solves some of the time issues. You can use melted butter and can bake it right away because you don't have to worry about the cookies spreading too far. Plus it just takes one trip to the oven, no worry about doing a sheet at a time! The melted butter also made it much easier for Jax to stir as well. So it was win, win. He has so much fun helping in the kitchen. For this project he got to crack the eggs, dump the ingredients in the bowl, and stir them up. 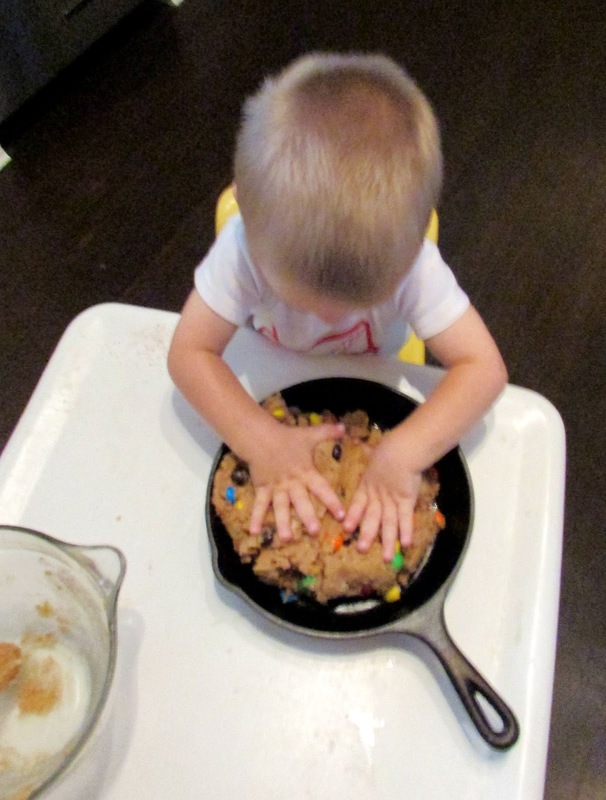 He also enjoyed pushing the dough into the skillet and spreading it around. But his favorite part was putting some more M&M's on top. Our cookie might have been missing an M&M or two, but it was still delicious. The cookie slices best if you wait a while first. Jax and I couldn't wait, so we had crumbly but delicious cookies! Matt and Sam were installing some siding for a couple of friends, so Jax and I delivered some pieces to them. The extra wait time made those pieces come out much better. We also loaded up some pieces in the wagon and walked them over to my brothers' house. Our cookie delivery service did not get any complaints! This cookie is everything you would want from a skillet cookie. It is thick and soft in the middle with just a little bit of crunch around the edge. But don't take it from, try one yourself! Melt butter in mixing bowl, then stir in peanut butter. Mix in brown sugar and sugar and stir well. Add in egg and vanilla and stir until completely uniform. Stir in the salt, milk powder, baking powder and baking soda until really well mixed. Stir in flours until just combined. Fold in most of the M&M's, reserving some to place on top. Press into a 9" skillet or cake pan. Arrange remaining candies on the top of the cookie. (This is the hardest part!) Wait for at least 45 minutes before cutting and serving. If you jump the gun, it will still taste great but will not hold its shape. 1.. xoxoxoxoooooo. Those pictures of Jaxon helping are priceless. I can tell he is working very hard to be a good helper. 3. Let me know when a home is for sale in your neighborhood. I want in on this special cookie delivery service. More to see you and Jaxon than the cookies, but I would take them off your hands. 4. I would never pass judgment on someone's lack of patience. Have you met me? Hello. This is why I love the Texas style sheet cakes and Bundt cakes. You should definitely move to the neighborhood. We deliver cookies within a one wagon pull's distance! These looks so good! I love those peanut butter m&m's. 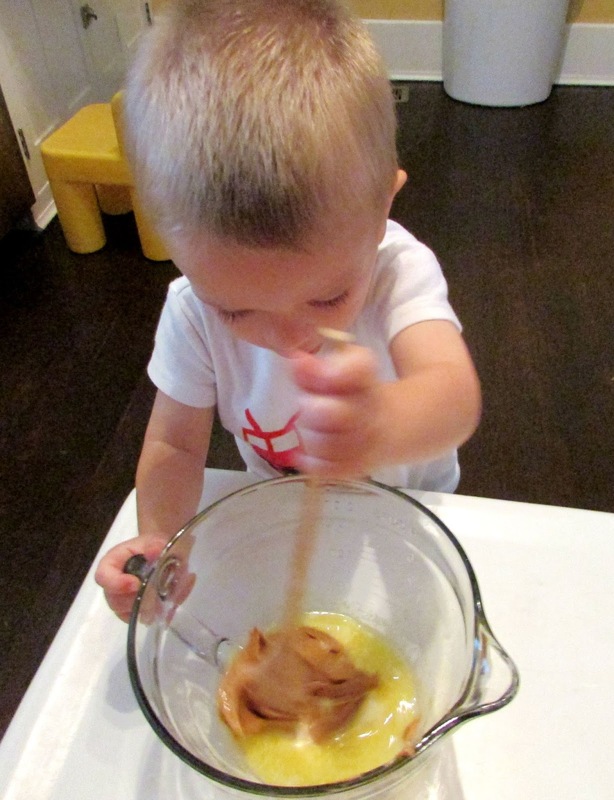 Actually, we love anything peanut butter :) Your son looks so cute helping. I love when kids get in the kitchen! I think I may need to invest in a skillet pan after seeing this. I should set the same rule for myself! Jax is a very good helper, we have the best time together! Oh, wow! Those look delicious! How fun that you got to make it together! We love to cook together! Oh my! Looks yummy and fun to bake :) I'm adding it to my 'try list'! What a good idea, it looks delicious and I just love your little helper. Thank you so much! He is definitely a keeper! This looks delicious!!! I have a sweet tooth too and this is exactly what I go for when I'm craving something sweet. Thank you! This is one of my favorite kind of treats as well! Okay, it's decided. I need to buy a cast iron skillet. This looks delicious. I hate waiting for the whole process with cookies too. This sounds perfect! And your little helper is adorable! You definitely need one! I use my cast iron skillets for all sorts of fun things! Thank you so much! I have the best sous chef around! Thank you so much for hosting and stopping by! Thank you! I will have to stop over! 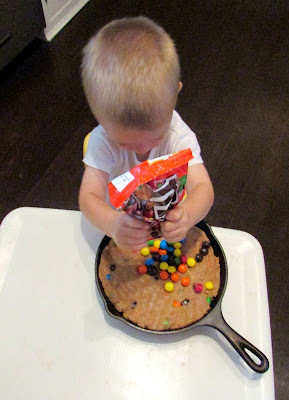 Your little helper is precious and making these skillet cookies awesome! Hope you are having a great Labor Day and thanks so much for sharing with Full Plate Thursday. He is the best! Thank you so much for hosting! Nice combo - peanut butter and M&Ms. Thanks Carlee for sharing this with us at #anythinggoes link up. See you next week. BTW your assistant is pretty cute! Thank you, I really like him! Me too, on both accounts! ;-) Thanks for stopping by! 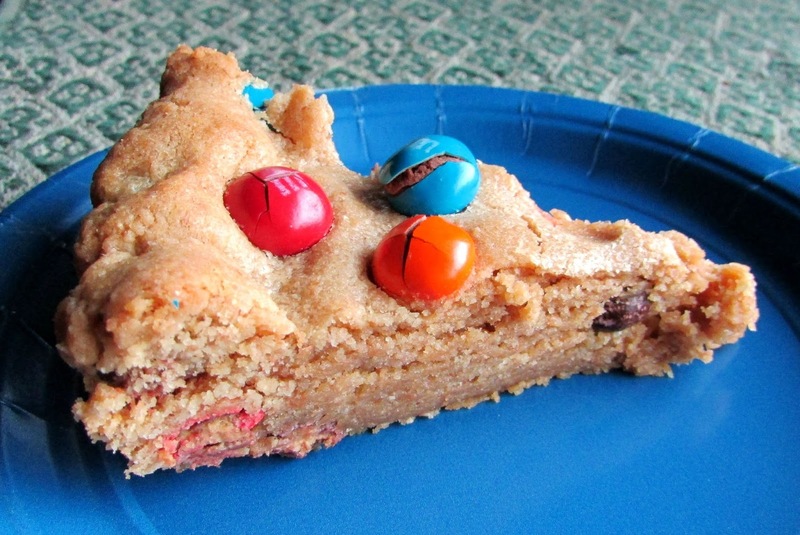 There's definitely nothing better than a giant cookie, ESPECIALLY ones with peanut butter and peanut butter M&Ms! Looks out-of-this-world DE-licious! I know, the peanut butter M&Ms are so good, it is hard to go wrong! But a soft cookie makes them even better! 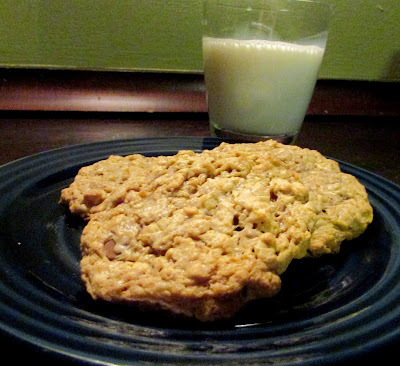 I love skillet cookies and this recipe sounds fantastic! You have a great little helper, too! Thanks for sharing at Inspiration Thursday! Have a great week! We really liked it. I am glad we gave it away so quickly or we would have polished it off ourselves! thanks for Linking UP with us Carlee at #WednesdaysWisdom you always have great content. Thanks for hosting, Sue, and for stopping by! I really appreciate it! It is definitely irresistible. I am glad I gave a big part of it away or I would have been standing over the pan picking at it until it was gone! My only method of self control when it comes to these kinds of things is removal from the premises! 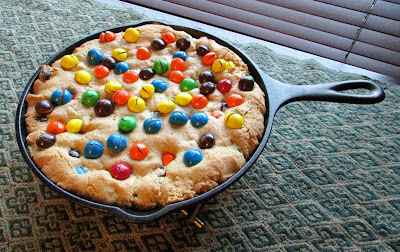 I've never tried skillet cookies, but I'm putting this on my to make list. It looks delicious. Thanks for sharing on Snickerdoodle Sunday. Pinned and Tweeted. You should definitely try one! If you like soft cookies, you will love it for sure! Your sous chef is adorable! And, I really want to try baking with my cast iron skillet instead of just using it on the stove. My guys would love this. Your skillet cookie looks delicious! Pinned it to the Merry Monday party board to share. I'd really like to make this for my grandchildren (yeah, let's just say it would only be for the grands!) YUM! I'm sure they would love sharing with you! Oh my delicious, this looks amazing!! I love M&Ms, I love cookies. Sold! Thanks for linking this up to Merry Monday! No problem, I love to share tasty treats! Thanks for stopping by! I love a good M&M cookie bar and the peanut butter takes it to a whole new amazing level!!!! Thank you so much for linking up at Tasty Tuesday! This post has been pinned on the Tasty Tuesday Pinterest board! I love having you and can't wait to see you next week! Me too and I can't help myself when it comes to peanut butter, so these sorts of treats are dangerous! Thank you so much for hosting! Oh your little guy is so precious! I love M&M cookies! I will be sure to trying this puppy! Thank you for linking up with us at the Tips and Tricks Link Party! I hope to see you there this week! Thank you, we really like him ;-) We had so much fun making (and eating) this cookie! Thanks for hosting, see you next week! Looks amazing! And, if I don't save any to share... "I only had one cookie", will be my storie! I think that is perfectly reasonable!